October 31, 2017: This weekend (Nov. 2-5) hundreds of bears from across the nation (and the world) will meet in St. Louis as part of the Show-Me-Bears' 22nd HiBearNation event. The Show-Me Bears were founded in 1993 through the leadership of Mike Royal and Rich Mergen. The club's first home bar was the Outpost next to Magnolia's, and the group is now housed at JJ's Clubhouse. Since 1993, the organization has donated more than $400,000 to local charities through fundraising events ranging from HiBearNation and Rummage Sales to Happy Hours and the Mr. Heartland Bear contest. The term bear was popularized by Richard Bulger, who, along with his then partner Chris Nelson (1960–2006) founded Bear Magazine in 1987. There is some contention surrounding whether Bulger originated the term and the subculture's conventions. George Mazzei wrote an article for The Advocate in 1979 called "Who's Who in the Zoo? ", that characterized homosexuals as seven types of animals, including bears. My own research shows the term bear being used as far back as 1966 by the LA Satyrs Motorcycle Club. What is a bear? According to Wikipedia, a bear is a large, hairy man who projects an image of rugged masculinity. Bears are one of many LGBT communities with events, codes, and a culture-specific identity. Whatever your definition, St. Louis' bear community is known for its charitable spirit. The Project has come across what may be one of the earlierst graphic representations of bear culture in the St. Louis community. See image below (or click on read more). 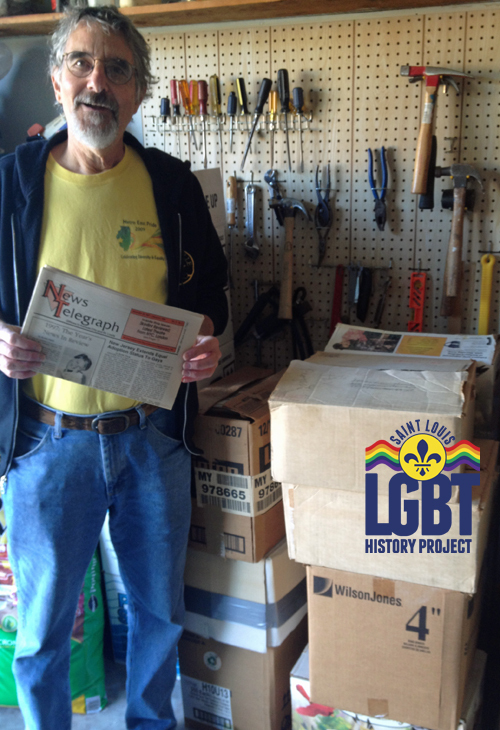 October 26, 2014: The Project thanks John Hilgeman for sorting through more than 14 boxes of papers he has collected over the years, and has now donated to the Project. The papers incude local and national newspapers and magazines, and assorted news clips (documenting LGBT issues from the 1970s to current day). 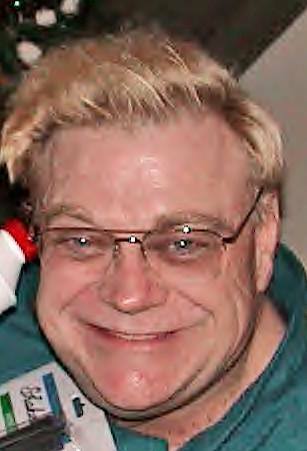 John has been a frequent contributor to the Project, donating posters and other items. Do you have boxes of LGBT treasures to donate? Go digging around and let us know. St. Louis' First "Gay" Parade? October 19, 2014: “A PARADE? Chuck darling, are you out of your mind?” Chuck Charleston was at it again! His infectious enthusiasm sparkled from his eyes as he laid out his crazy idea. He wanted to set up a parade. We would gather at noon in front of the Red Bull. Then drive across Eads Bridge, down Market street and end up at “the cannon” in Forest Park. “Chuck are you forgetting this is Saint Louis? They will kill us," I protested. “Oh Miss Little, they are having parades all over the country now. “Its been four years since that riot in New York. “It is time we made some noise!” “Yes honey, I knew about Stonewall. “Did you forget I report news on radio? “I reported on that the night it happened.” I had just graduated from Lindenwood College. My nick name there was “Chicken Little”. Chuck thought this was hilarious! He promptly explained to me what the term “Chicken” implied in the gay culture. Ever since, he always referred to me as “Miss Little”. “Oh girlfriend, we all know of Miss Little's oral talents," said Chuck. "Now then, do you have a convertible? “We need a bunch of convertibles for the drag queens to ride in. “Can't you just see Miss Donna Drag, waving to the crowds like the Queen of England?” He raised his right hand and twisted his wrist around in a great copy the Royal wave. Well by this time I knew I was hooked. I would take part, but damn, what was I getting into? Chuck had a way of drawing you into his plans. As I write this, I am unsure if it was 1973 or 1974. (According to Phyllis Kitchen it was May/June 1973). This was crazy! I could lose my job and never work in radio again. My career would be over before it really began. Lets see, I could borrow my grandmother's 1963 Studebaker. It wasn't a convertible but it would be an interesting car for a parade. It also could not be traced to me like my own car would. On the way home from the bar, my friend Jim (who would gain fame as Miss Eddie Gregory) was all for it. It would give her a chance to dress in drag. Then maybe Donna Drag would let her preform there at the Red Bull! The thought of doing this was exciting! There is always a certain thrill to danger. Can't remember anyone thinking that we were creating history. It was more like seeing what we could get by with! Officially this would be “The Red Bull Presents: Mardi Gras North”. Less confrontational than painting signs proclaiming Gay Power! That morning we lined up our cars on Missouri Ave in front of the bar. It was clear and bright as the drivers attached streamers of crape paper with masking tape to their cars. Chuck had his red and white 1957 Thunderbird at the front of the line. The drag queens were inside the bar getting all pretty, (and having more than a few drinks). I can't remember how many cars started our jaunt to the cannon in Forest Park. I wore a large flowing neon colored boa, dark glasses and a hard hat! We all were honking and waving at the unsuspecting people along the way. We had no permit – could not have gotten one anyway. This was still a time when shoppers would be on the sidewalks in downtown St. Louis. A few would wave back just from habit I guess. 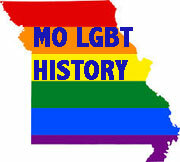 Read more: St. Louis' First "Gay" Parade? 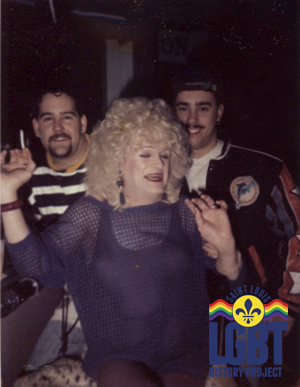 October 15, 2014: The Project thanks Paul LeFebvre for scanning pictrues from his collection to share that document bar life, Pride, and other LGBT events over the years. One of the treasures from his stash includes this great shot of the infamous Bette Davis (Jimmy Walker) holding court at Magnolia's. We will be posting more of his images soon. Look for more Project news next week featuring great stories from the past, as well as new donations as we celebrate LGBT History Month (founded right here in St. Louis in 1994 by Rodney Wilson).